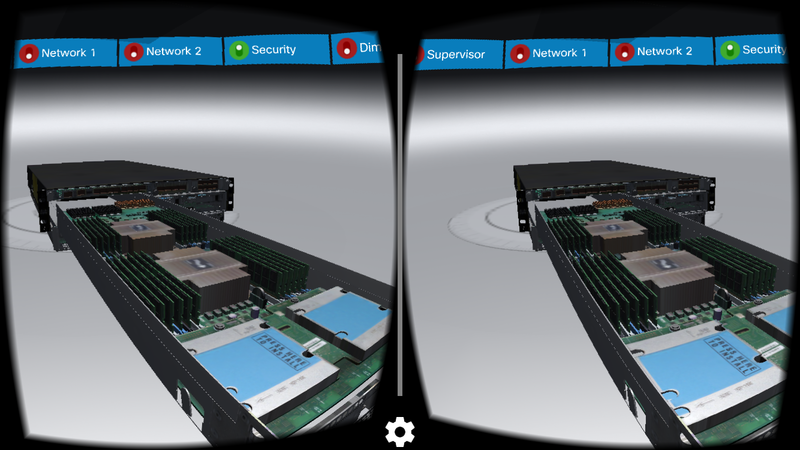 Our mission for this virtual reality cardboard application was two fold: to grab the attention of event attendees at large cyber security conferences around the globe, as well as to excite and educate the viewer on the firewall products offered by Cisco. Our challenge was to create an effective and enticing visual experience while still keeping the user experience appropriate for the context of a fast passed conference environment. Minimizing application file size, and simplifying the app download experience was essential when competing with the many sites and sounds coming from all the booths at large expo. With people distracted by many booths in the event environment, we needed to capture attention right away. The bulk of the app shows off Cisco’s Next-Generation firewalls. 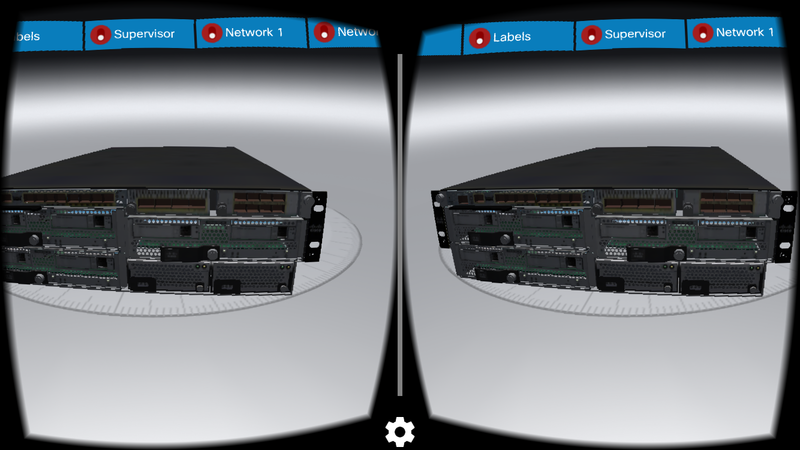 The VR environment gives you the ability to look all around the model, see inside to all of its hardware as well as see all the exterior inputs and ports. With more complex devices, multiple modules can be pulled out and focused on piece by piece. 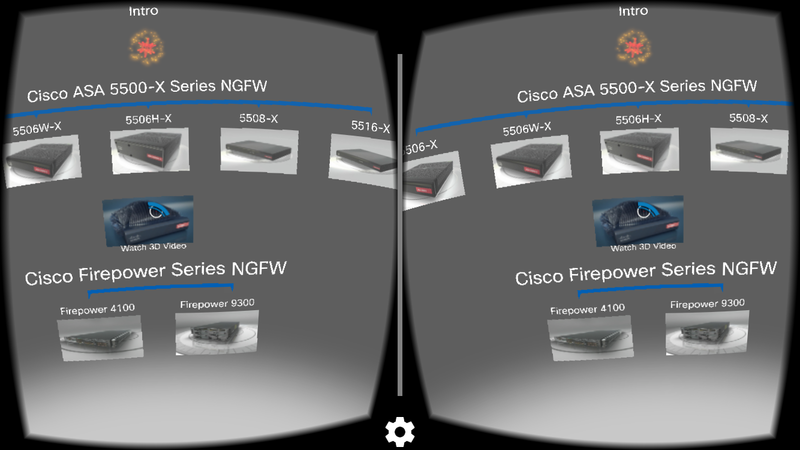 It gives the user a virtual tour of all the components of each firewall as if they were standing right in front of the device. This has proved to be a great tool for sales teams as well as customer service teams. 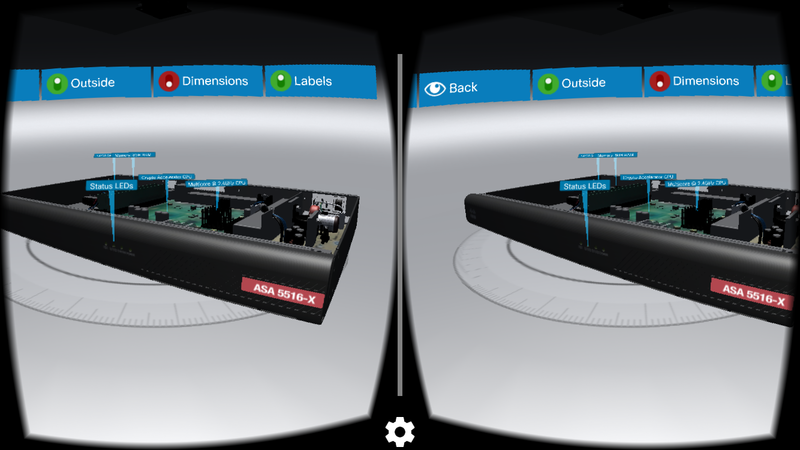 A dedicated microsite where users can experience an interactive 3D demo of all the devices was also created to extend the reach to desktops and tablets. 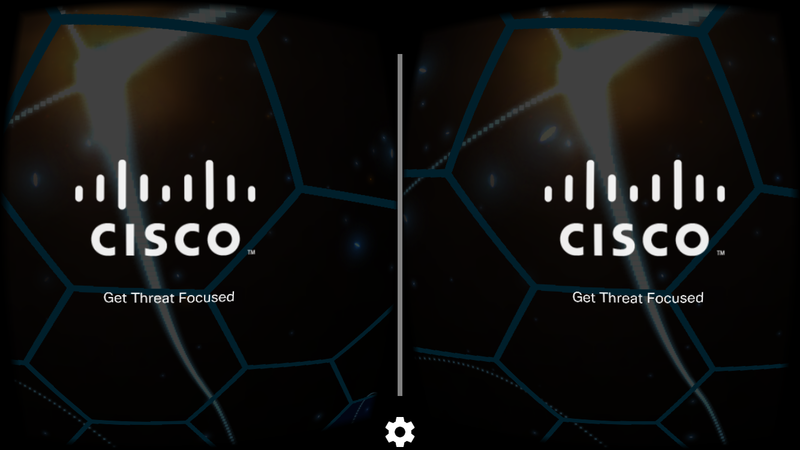 Using Kinmode’s VRnocular Cardboard Virtual Reality viewer branded for Cisco with specific graphics, we were able to provide thousands of durable, easy to use VR viewers to our client. The device can be used to watch other VR content and being specifically branded for Cisco, it is an excellent sales convention take-away. 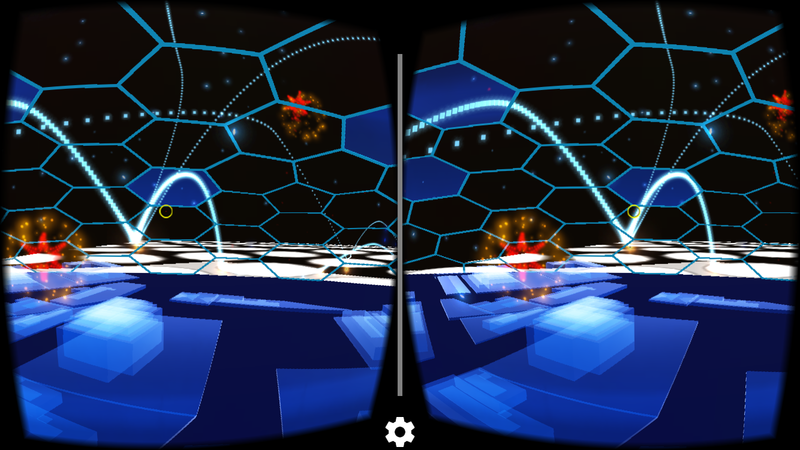 We created a mood setting introduction experience where the viewer flies through a cyber environment into a protective dome representing the firewalls. On the way, the viewer is confronted with security threats that can be interactively removed when the viewer focuses their gaze on them. 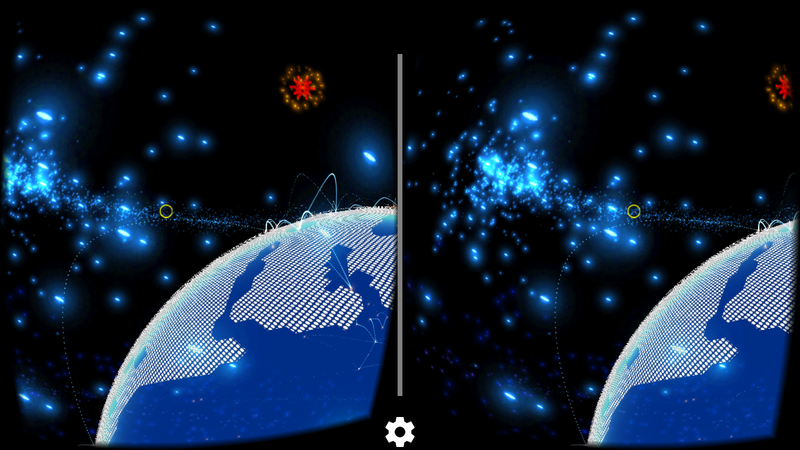 As viewers fly through space, they can turn their heads and look around the environment to see incoming threats. 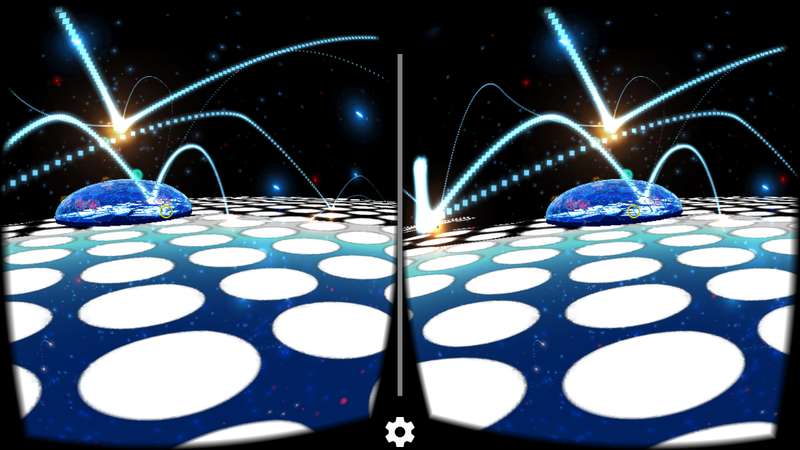 The app was developed on the Google Cardboard platform for both iOS and Android. The app runs using only a cardboard viewer and the user’s own smartphone. This makes it a very affordable platform for the end user. Our main hurdle was to optimize the size of the file and the models within it so that it would perform at a high level on most mobile devices. We also didn’t want people to be standing around while they downloaded a huge application. We optimized the models and lighting to achieve the quality graphics needed for a realistic VR experience without bogging down the ability of the smartphone.